A widely studied collision of two neutron stars, detected in August 2017, now appears to have created a black hole, supporting a long-held scientific theory. 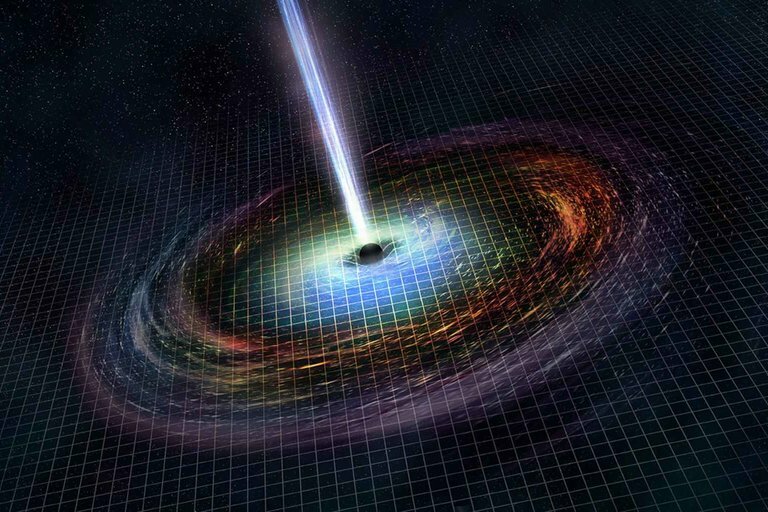 In the new study, researchers analyzed data gathered by NASA's Chandra X-ray Observatory after the gravitational waves — ripples in space-time first predicted by Albert Einstein a century ago — were detected by the Laser Interferometer Gravitational Wave Observatory (LIGO) project. But the study team is putting its money on the black hole interpretation. If the two neutron stars collided to form a single, heavier neutron star, the resulting object would likely have a strong magnetic field that produces bright X-ray emissions, researchers said. However, the Chandra observations revealed low X-ray levels. 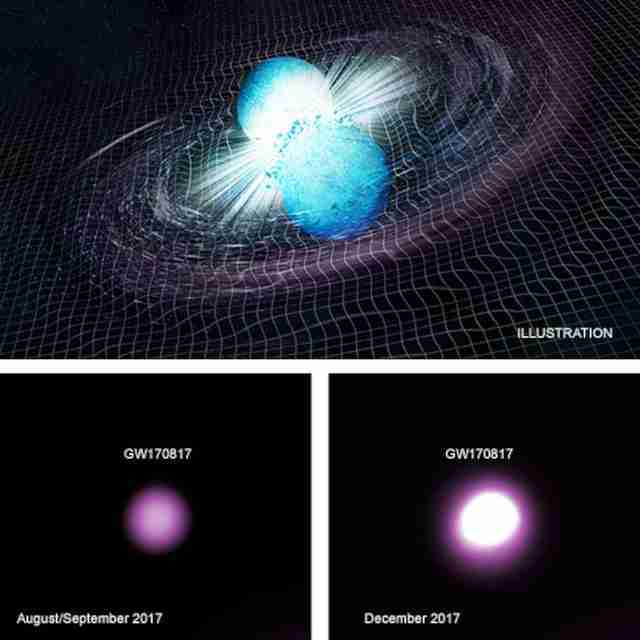 An artist's illustration of GW170817, the neutron-star collision whose gravitational waves were detected in August 2017. Bottom images show the progression of the event. | Illustration: NASA/CXC/M. Weiss; Images: NASA/CXC/Trinity University/D. Pooley et al. It would also be very interesting if astronomers determined that GW170817 generated a single gigantic neutron star. Such a result would challenge theories about the structure and formation of these exotic objects, researchers said. "GW170817 is the astronomical event that keeps on giving," study co-author J. Craig Wheeler, also of the University of Texas, said in the statement. "We are learning so much about the astrophysics of the densest known objects from this one event."